Thailand has always been a favored property investment destination by international investors from Hong Kong, China, Singapore, Malaysia, Russia and Australia, to name a few. Thailand property prices are still relatively low and the rental yield is very attractive. The recent political crisis in Thailand has caused the Thai Baht to fall drastically against major currencies, hence creating great buying oportunities for international property investors. We believe the political crisis is going to be short-lived and now is the best time to invest in Thai properties; we equate this to the buying of Hong Kong properties during SARS. Great upside potential for those who have a longer term view on Thailand. Bangkok’s traffic is notoriously bad, so most buyers would be wise to purchase in areas close to the metro system or BTS SkyTrain to cut down on commuting times. This has a significant effect on Bangkok property. The most popular area for foreign investors is Sukhumvit, Central Lumpini and the Sathorn area. Condo developments in these areas command the highest prices in Bangkok. Sukhumvit Road is actually 400 km long and is the longest road in Thailand, hence you should get proper advice in choosing which part of Sukhumvit to invest in. The Bangkok high end rental market is an attractive option for investors. Bangkok’s high-paid expatriates are given housing allowances in the range of Bt70,000 – Bt100,000 per month, but they are looking for homes with all the western amenities they’re accustomed to. There is a large Japanese community in Bangkok due to the automobile industry around Bangkok. Most of the Japanese like to rent condominiums in areas such as Thonglor, Ekamai and Phra Khanong. In the coming year, new property projects in central Bangkok will focus more on the middle and upper-middle segments, with the majority of units being one to two-bedrooms. 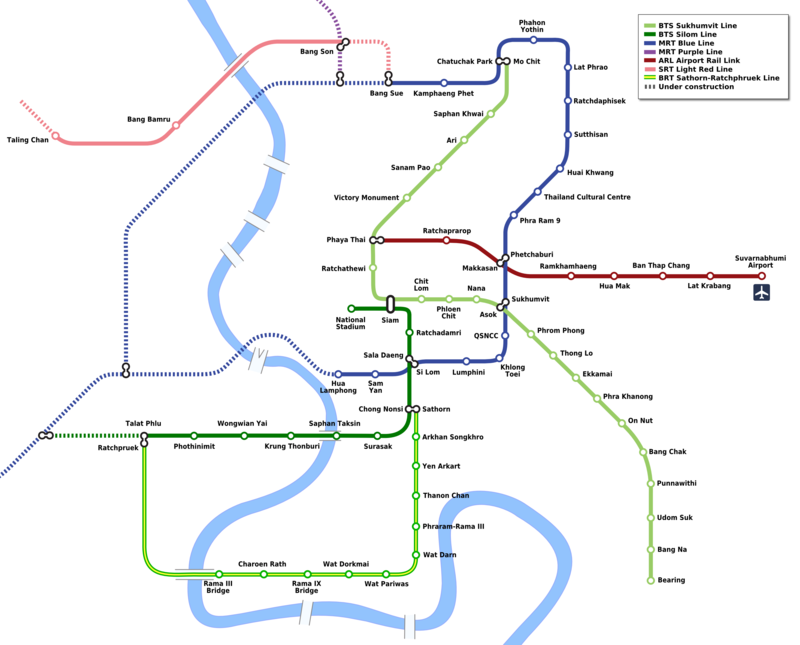 At the lower end of the segment, the focus of property developments in Bangkok is shifting to fringe locations along the extended BTS SkyTrain/Subway routes where properties can be more affordable. Developers typically offer attractive payment terms for off-plan projects. The norm is for investors to pay 30-50% before completion and the balance at completion. We would advise you to buy from established and reliable developers so that you do not end up losing your deposit. 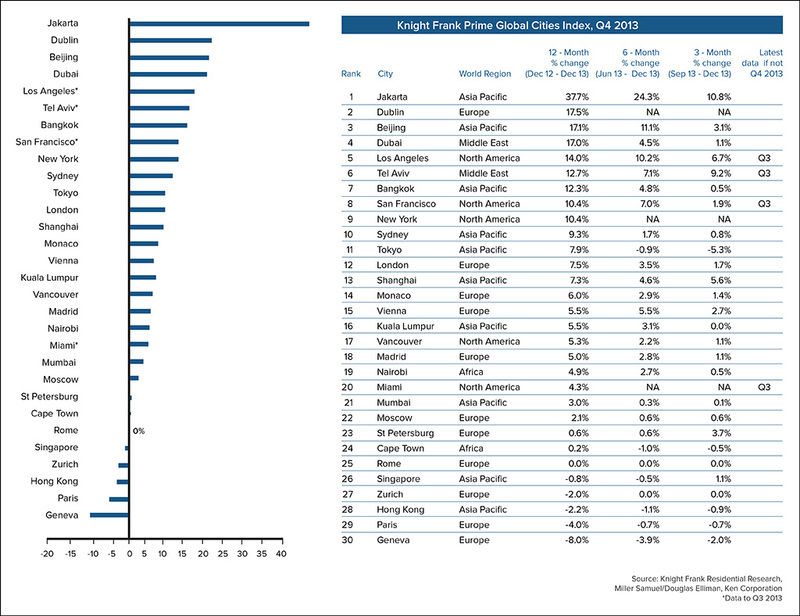 Bangkok was the 7th best performer globally in terms of property price increases in year 2013. Properties in capital city Bangkok generate around 6-7% p.a. rental yield.